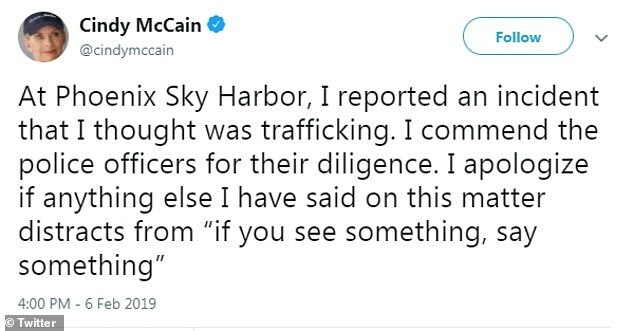 The widow of the late Senator John McCain has apologized after Phoenix Police refuted her claim that a woman of a ‘different ethnicity’ than her toddler was engaged in human trafficking. 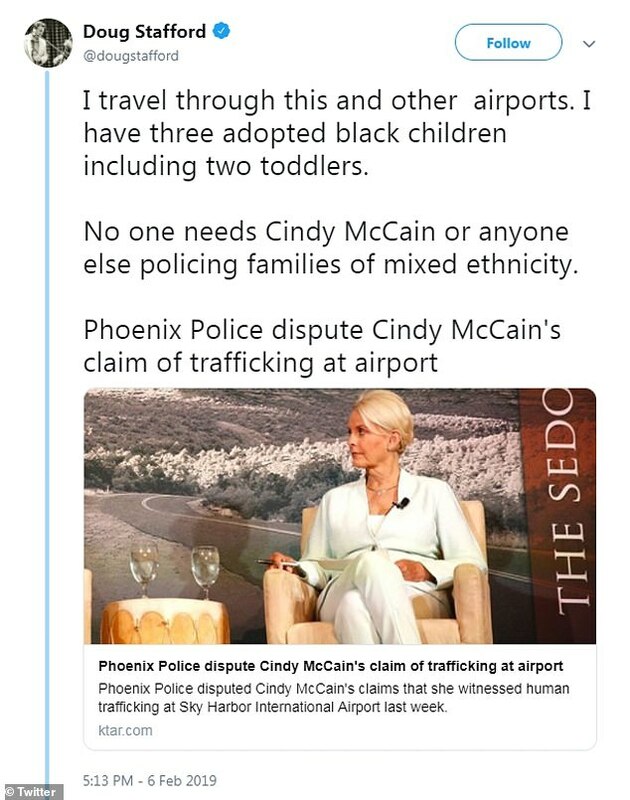 The controversy erupted on Monday when Cindy McCain told a local radio station in Phoenix that she asked police to conduct a welfare check on a child at Sky Harbor International Airport on Thursday of last week. 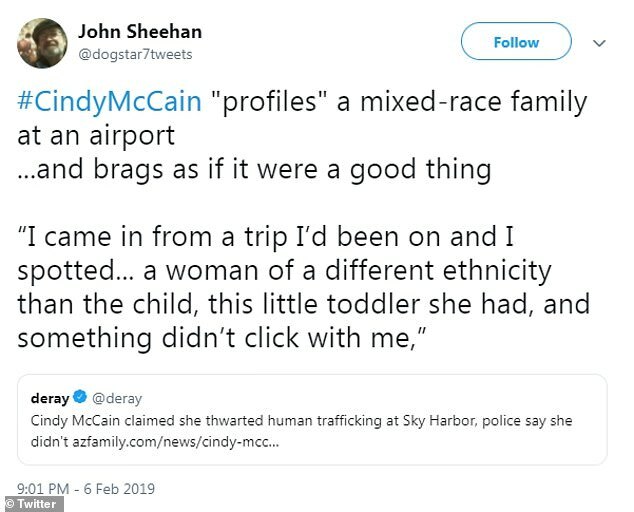 ‘I came in from a trip I’d been on and I spotted - it looked odd - it was a woman of a different ethnicity than the child, this little toddler she had, and something didn’t click with me,’ McCain told KTAR News 92.3FM on Monday. ‘I went over to the police and told them what I saw and they went over and questioned her and, by God, she was trafficking that kid. Phoenix police on Wednesday released information saying that a welfare check on the child was conducted at McCain’s request, but that no criminal behavior or child endangerment was suspected, KPNX-TV reported. 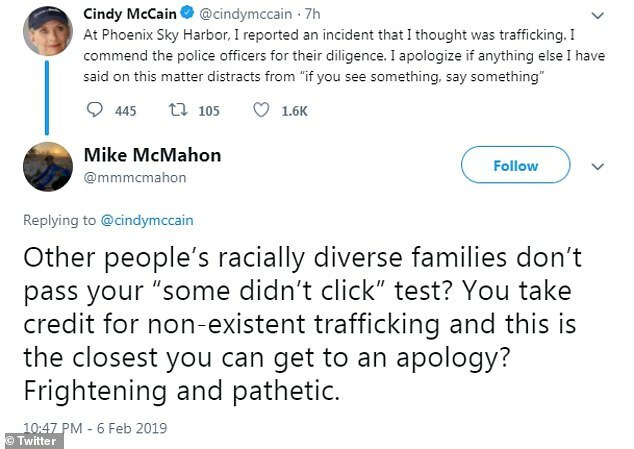 McCain’s comments about a ‘woman of a different ethnicity’ whom she suspected of human trafficking outraged users of social media, prompting her to tweet an apology on Wednesday. 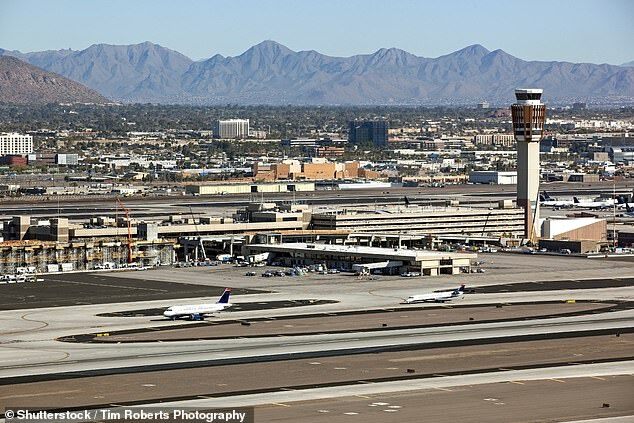 ‘At Phoenix Sky Harbor, I reported an incident that I thought was trafficking,’ she tweeted on Wednesday. 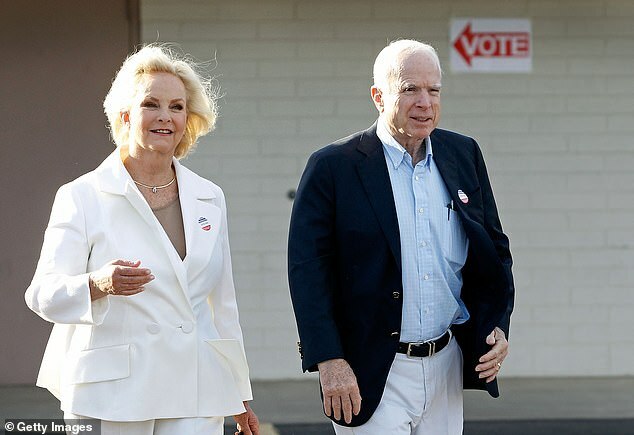 Cindy McCain has sought to raise public awareness about the dangers of human trafficking. Twitters users were nonetheless outraged. ‘Can you apologize to the family on here? Because that would be way better,’ tweeted another Twitter user. ‘You spelled "I'm a big fat liar" wrong,’ tweeted one angry critic. 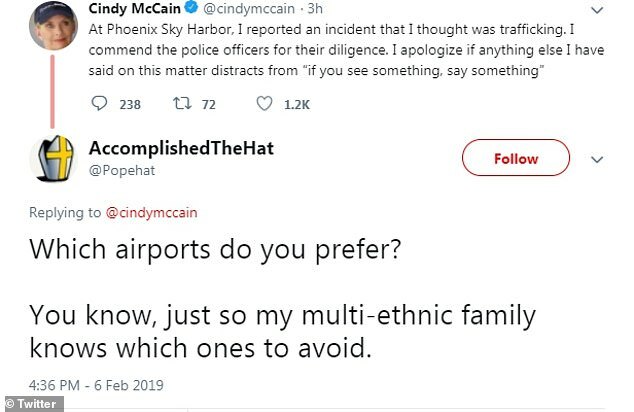 A number of Twitter users told stories of their experiences as mixed-race families traveling through airports. ‘I travel through this and other airports,’ tweeted one Twitter user. 'What did she actually see? Nothing but a family that didn't "look right",' tweeted one Twitter user. 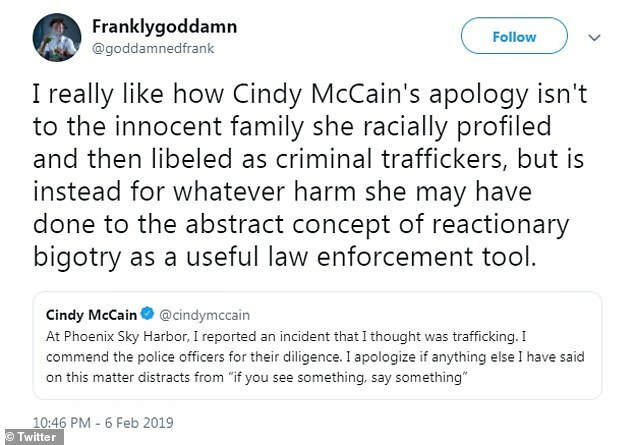 Many Twitter users noted it was ironic for McCain to suspect a woman of a different race than her child of trafficking given that the McCain family adopted a young girl from Bangladesh. 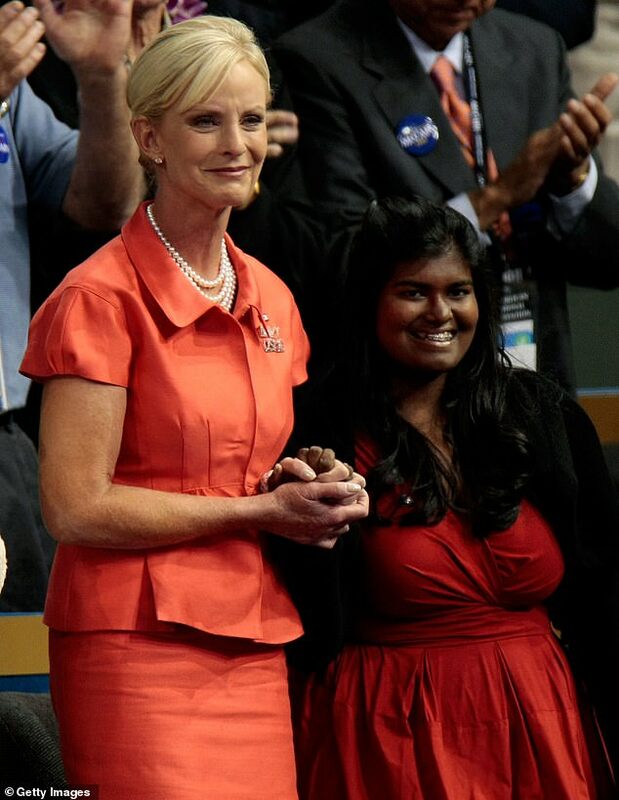 Bridget McCain was adopted by the McCains from an orphanage in Bangladesh. 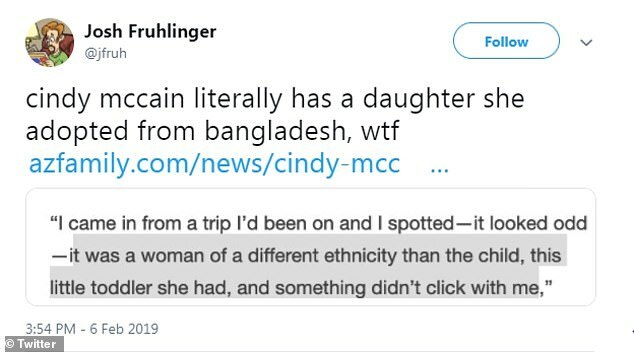 ‘Cindy McCain literally has a daughter she adopted from Bangladesh, wtf,’ tweeted another Twitter user. Yes but you see slavery has been abolished and if you adopt them you don't have to pay them minimum wage.